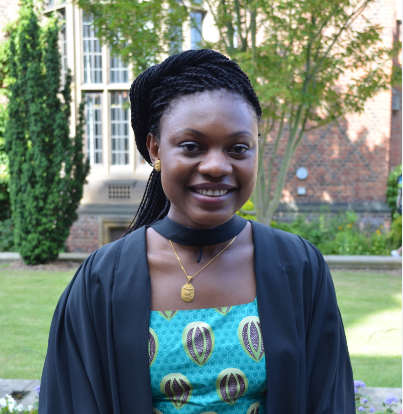 Ivy Alu Tavershima, from Nigeria, who passed INTO’s Foundation in Physical Sciences & Engineering, achieved a 2:1 in her MEng Honours Chemical Engineering course. Liu Muyan, who arrived from Northern China four years ago to join INTO’s Foundation Pathways in Architecture course, received a 2:1 in her BA (Hons) Architecture degree. 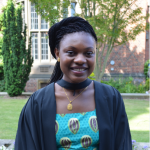 “INTO Newcastle provided me with a good foundation for studying in an unfamiliar country with an unfamiliar education system. INTO helps you get to know the British culture and get used to the style of teaching and learning before you become very busy with your undergraduate or postgraduate studies. With the help of my tutors and friends, I learned many things during these four years, and finally got a 2:1 Hons as a result. Oirat Azbergenov, from the Republic of Kazakhstan, took INTO’s Foundation in Physical Sciences & Engineering, and went on to gain a 2:1 Honours degree in Electrical and Electronic Engineering. “At INTO, the teachers prepared me well for university life. It was a good introduction on how lab reports should look and what to expect in exams. The English teachers were great at giving tips and hints on how to write academic essays. Even though I was doing a foundation course, I felt like a full-time student of the university. So, after several months of studying here I realised that I wanted to continue my tertiary education at Newcastle University and was offered a place on the BEng Electrical and Electronic Engineering course. Masayo Hosokawa, from Japan, took INTO’s Foundation in Physical Sciences & Engineering and carried on to study for a MEng in Chemical Engineering, achieving a First Class Honours degree. “INTO was a great opportunity to get to know what university life was like. I had lots of assignments during my degree course, but all the knowledge and skills I had learned with INTO really helped me to deal with the work. The INTO programme helped improved my academic essay and lab writing skills, in particular. Studying abroad was a big challenge for me, and it was demanding. Shih-Mai Ou, from Taiwan, studied INTO’s Foundation in Humanities and Social Science and graduated from Newcastle University with a 2:1 (Hons) in Media, Communication and Cultural Studies. “Studying in Newcastle University has been challenging, but meaningful. In the three years, I did make a lot of efforts in my studies. Yet it is not just about that. The people I met, the events I took part in and the life I have had here have all been vital in making me who I am today. This university with its sophisticated teaching methods located in a lively city is without doubt an ideal place to grow up in. Before entering this university, it was INTO that prepared me for a smooth life in Newcastle, a foreign place. They taught me the academic skills needed to lead me to a rather high grade on final certificate. While the other students, who had never learnt such skills panicked, I was able to handle the assignments. Orkahn Hasanov, from Azerbaijan, obtained a First Class Honours degree in Chemical Engineering, following successful completion of INTO’s Foundation in Physical Science & Engineering. “My academic career began in 2008 when I was accepted into the Azerbaijan State Oil Academy, where I gained first-hand knowledge of the oil and gas industries. After studying there for a couple of years, I felt ready to take on new challenges and applied to INTO Newcastle. The foundation course helped improve my academic English and gave me a solid grounding for my undergraduate course. For more, log on to our website where you can find interviews graduating groups of international students from Queen’s University, Belfast, Glasgow Caledonian University, the University of Exeter, the University of East Anglia, City University and the University of Manchester.